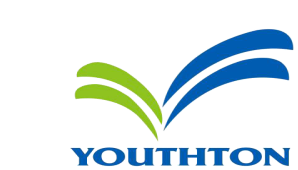 NEWS - SHENZHEN YOUTHTON TECHNOLOGY CO . , LTD .
Youthton will attend OFC 2018, The Optical Networking and Communication Conference & Exhibition. We will display our high-speed and some popular transceivers, including 100G QSFP28, 25G SFP28, 40G QSFP+, 10G SFP+.....Thanks for your support and attention! We will attend Cebit 2018. Our booth No. is E80-5-6. Welcome to our booth! We will dispay 100G QSFP28, 100G QSFP28 CWDM, 40G QSFP+ BIDI, 25G SFP28.....we will look forward to seeing you in our booth. After spending the Spring Festival Holiday, Youthton staff came back together to the company on Feb.12, starting work with full confidence for a brighter 2019. Youthton will continue developing and producing high-quality optical transceivers and will strive industriously to become an outstanding contributor in optical communication industry at an earlier moment.